Below you can view all the homes for sale in the Seabrook Plantation subdivision located in North Myrtle Beach South Carolina. 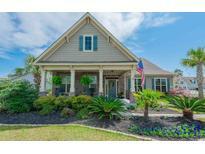 Listings in Seabrook Plantation are updated daily from data we receive from the Myrtle Beach multiple listing service. To learn more about any of these homes or to receive custom notifications when a new property is listed for sale in Seabrook Plantation, give us a call at 843-695-7716. Come and see this stunning, move in ready, custom home! MLS#1907854. Buyer responsible for verification of all measurements. ** MLS#1907038. Buyer responsible for verification of all measurements. ** MLS#1907043. Buyer responsible for verification of all measurements. ** MLS#1907062. Buyer responsible for verification of all measurements. ** MLS#1907045. Buyer responsible for verification of all measurements. ** MLS#1904980. Buyer responsible for verification of all measurements. ** MLS#1903753. This home will not disappoint-Make an appointment to see today! MLS#1901751. Buyer responsible for verification of all measurements. ** MLS#1900892. Buyer responsible for verification of all measurements. ** MLS#1824797. Buyer responsible for verification of all measurements. ** MLS#1824821. Buyer responsible for verification of all measurements. ** MLS#1824823. Buyer responsible for verification of all measurements. ** MLS#1824825. Buyer responsible for verification of all measurements. ** MLS#1824818. Buyer responsible for verification of all measurements. ** MLS#1824420. Buyer responsible for verification of all measurements. ** MLS#1823989. Take advantage of this incredible opportunity to own your dream home today! MLS#1823110. Short golf cart ride to Cherry Grove beach, schools, and shopping. MLS#1820002. Seabrook Plantation is "golf cart friendly" and located within 1.5 miles of Cherry Grove Beach and adjacent to the new Coastal Town North Shopping Center (Publix shopping center). MLS#1819605. Buyer responsible for verification of all measurements. ** MLS#1819596. Additional community amenities include sidewalks within the community as well as boat storage. Don't miss this opportunity. MLS#1819412. Buyer responsible for verification of all measurements. ** MLS#1818463. Buyer responsible for verification of all measurements. ** MLS#1817398. Call today, it might be gone tomorrow. MLS#1815287. Seabrook Plantation is "golf cart friendly" and located within 1 mile of Cherry Grove beach and adjacent to the new Coastal North Shopping Center (Publix shopping center). MLS#1811204.